The Pacific Rim Conference on Stellar Astrophysics series has been held in Asia since 1985. 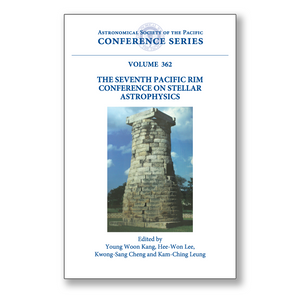 This is the Proceedings of the 7th Pacific Rim Conference on Stellar Astrophysics held at Sejong University, Seoul, Korea, in November 2005. It covers diverse topics in the domain of stellar astrophysics; from stellar formation to the death of stars, from single stars to multiple stellar systems, from normal stars to strange stars, and stable stars to variable stars. Most of the presentations focused on the optical observations and theories on binary stars and neutron stars.